cannot be removed even if the water is boiled. We all know that tap water can't be drunk directly. Is it ok to boil water? Science shows that boiled tap water cannot remove heavy metals, rust, high temperature bacteria, residual chlorine and pesticides that are harmful to the body. In addition, the bottled water of the water dispenser can also breed bacteria if it is not consumed as soon as possible. Drinking fresh pure water is the most beneficial way to maintain health, so we recommend that every family should be equipped with a water purifier to improve the quality of healthy living. substances has become a top priority! Clean drinking water at home begins with Reverse Osmosis (RO). Unlike typical water filters, RO has an ultra-fine 0.0001-micron filtration that removes bacteria, antibiotics and heavy metals. Mi Water Purifier has four filtration layers in total to provide thorough cleansing. It does not have a storage tank to keep purified water to avoid bacteria growth and secondary contamination. The result is like drinking bottled water, only from your tap. * Different suppliers may be selected for production while ensuring that the technical specifications of the products remain unchanged. heavy metals. Drink clean water to make your body healthier. The Enhanced version adds RO (reverse osmosis) cartridge flushing technology to wash away foul impurities, avoiding filter plugging. 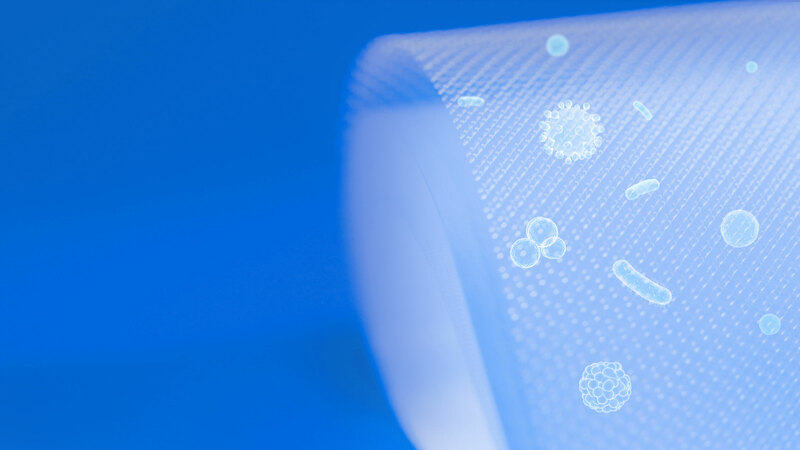 A typical reverse osmosis filter has a filtration accuracy of one tenth of a micron (0.0001 μm), whereby its tiny pores may be clogged by impurities deposited on the surface. The Mi Water Purifier 3 kitchen type (Enhanced version) adopts the filter core flushing technology to effectively wash away the pollutants intercepted by the reverse osmosis membrane surface, avoiding the deposition of pollutants on the reverse osmosis surface, scaling, breeding bacteria, and effectively ensuring that the life of the membrane is increased many fold. At the same time, it reduces the concentration of concentrated water remaining in the water purifier, thereby avoiding scaling inside the waterway, the water pipe and valve body, resulting in improved service life of the individual components. * Data is derived from the results of the Yunmi Lab test. Test conditions: tap water TDS107, water temperature 25 °C, pressure 0.2 MPa.  In order to make pure water output faster and reduce waste water output, the Mi Water Purifier 3 (enhanced version) enhances the water output speed by optimizing the filter structure and material, and by adding a flushing function. 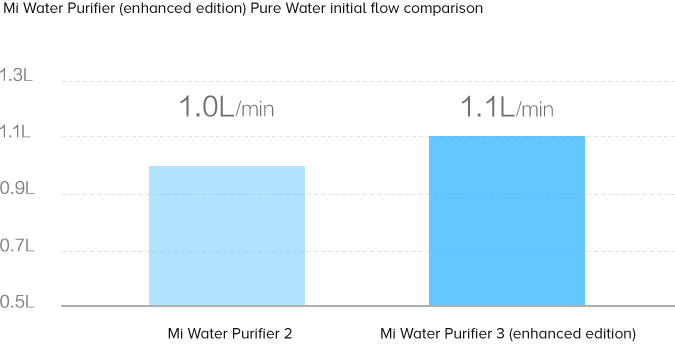 The pure water output speed is faster; with initial flow rate reaching 1.1L/min, which is nearly 10% higher than the original Mi Water Purifier. * The specific pure water flow will be affected by local water quality, usage time, water temperature and water pressure. The above data is all tested under the condition that the raw water TDS value is below 300, the water temperature is 25°C, and the water pressure is 0.2 MPa. Mi Water Purifier 3 kitchen type (enhanced version) water purification quality meets the "food safety national standard packaging drinking water" standard, which means that after tap water purification, the water quality can be compared with the high quality bottled pure water purchased at the supermarket. Water quality testing of Mi Water Purifiers is done through the China Center for Disease Control and Prevention. The removal rate of many harmful substances such as bacteria, heavy metals and inorganic substances is higher and better than the industry standard. In order to solve the problem of slow water flow, typical water purifiers in the market use the water storage tank to temporarily store the purified water. The inside of the tank cannot be cleaned, bacteria are easily generated, and sticky substances are formed, resulting in secondary pollutants in the water resulting in the water quality being lower than the water quality sanitation safety requirements. The Mi Water Purifier 3 kitchen type (enhanced version) has been developed by engineers to develop a purification scheme that can also increase the flow rate without need for a water storage tank. This is achieved by improving the filter element, increasing the single water channel in the traditional RO reverse osmosis filter to multiple channels and by increasing the filtration area to improve filtration efficiency. Moreover, a large-flow booster pump is used to provide sufficient water, so that you can drink fresh pure water when you turn on the tap. 4 times filtration area, multiple filtration channels Increasing the filtration efficiency by increasing the number of reverse osmosis membranes in a conventional filter element to 4-5 pieces and using a larger size diaphragm. Hi-flux booster pump Tested to start and stop 100,000 times, and continuously work for 2000 hours. 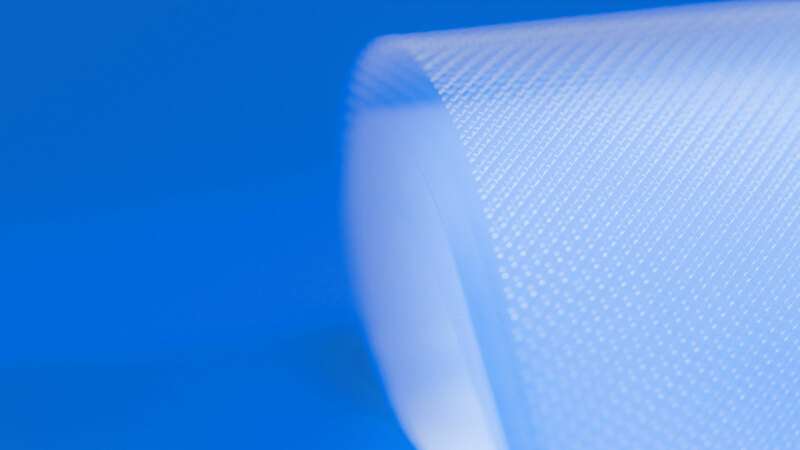 Industry stringent test standards provide sufficient pressure for tap water through RO reverse osmosis membrane. Connect the Mi Water Purifier with your phone via Wi-Fi, so you always know the TDS value and water quality status of your home. The phone app also alerts you when filters need to be changed. 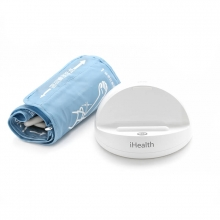 It calculates filter lifespan precisely by analyzing your water quality and frequency of use. This is vastly different from typical water purifiers, which estimate filter replacement dates. Mi Water Purifier also has an independent automatic detection module that keep a check on each of its 23 core components so you can troubleshoot issues easily. In the tap water, there are inevitably particles such as sediment, rust, and wire. The smaller the particles, the more easily the water purifier components are damaged. Mi Water Purifier 3 kitchen type (Enhanced version) adds up to 13 anti-clogging designs in front of critical components, providing layer-by-layer protection to prevent fine particle impurities from damaging the sensitive machine parts. This guarantees the stable operation of the purifier and effectively extends the service life of the water purifier. Mi Water Purifier 3 kitchen type (Enhanced version) can provide you with safer and more pure water, not only because of its advanced purification technology, but also because we carefully select each component. In order to avoid the release of harmful substances from sub-standard components, key components are selected from high-quality suppliers. Professional scientific research is conducted and certification institutions are invited to carry out strict and rigorous safety tests on components to ensure that your drinking water is safe and healthy from the source. * Quality supply chain: Xinbao / Apollo / Jiayin / Zhuoyi / Johnson & Johnson / Vertical Peak / Netac / Guan Yuda. Every Mi Water Purifier 3 kitchen type (enhanced version) has undergone strict and rigorous inspection before leaving the factory. To ensure that the finished Mi Water Purifier 3 (Enhanced version) meets the required specifications, we implement extremely strict inspection standards, such as pressure test, high and low pressure test of water connection components, etc. Each unit must pass 100% inspection to achieve a Factory Standard rating. Not only that, but most of the individual parts also require rigorous testing before being declared fit to be used, which means that we implement our high standards right from from the supply line. * The various data mentioned on this page are from Yunmi Lab. Data may vary or be inaccurate due to changes in the objective environment and other factors.